Wrangell Narrows floods from the north and south. Currents run swiftly, but not dangerously. Timing the trip to reach the midpoint at high water slack is ideal, since it maximizes boost from the current. We left St. John Harbor around 11:00 a.m. and enjoyed a good boost most of the day. Beautiful day on Wrangell Narrows. 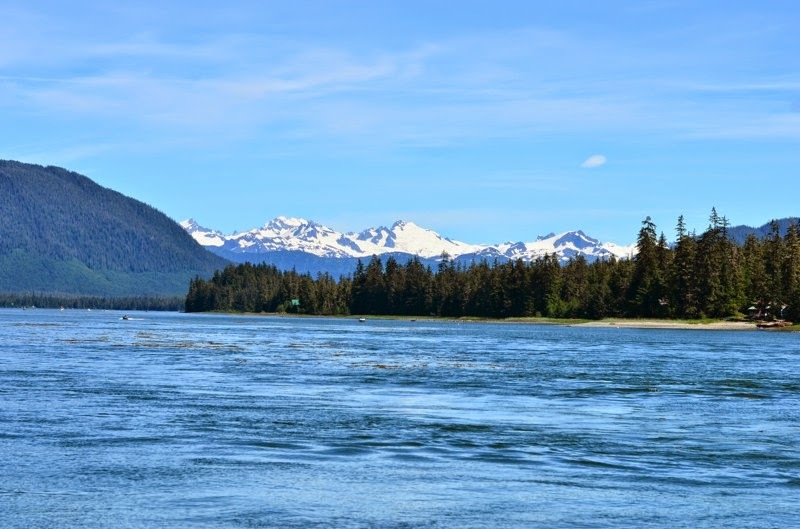 Petersburg is one of the most scenic towns in SE Alaska. We arrived on a sunny day, and the snow capped, glacier studded mountains were spectacular. Mark and I got adjoining slips in the north harbor, which was recently renovated. The new docks are excellent, with lots of power and water. Back in town…time to catch up on work.